Fizik has just taken what some might say is a bold step in redesigning its best-selling and über-popular Arione saddle range, first seen a decade ago. And therein lies the ‘problem,’ because a 10 year old saddle is “a pretty old saddle” according to Fizik product manager Alberto Fonte. From a ‘news’ point of view he’s right, of course and, although your backside might not have changed shape in a decade (or has it expanded?) materials, design and production technologies certainly have. Which brings us to the three new Fizik Arione saddles unveiled – the 00, R1 and R3. Apart from the new top-of-the-line Arione 00 (that’s ‘zero zero’ not ‘double Oh,’ trivia fans), there are also two marginally less ‘performance’ oriented versions – the R1 and R3. Essentially the Arione 00 is the top of the range super light (a claimed 135g), carbon ‘heavy’ saddle aimed at pro level riders. The R1 and R3 offer more comfort, less carbon and marginally more weight, but there’s only 50 grams between the lightest and heaviest saddle here, so we’re not exactly talking about pig iron rails and an inch thick plastic base on the 185 gram R3! All three saddles are the same length and width and the key differences are the amount of carbon fibre used in the construction. In the case of the Arione 00, the base and rails are carbon, while the R1 features a carbon and plastic mix base and carbon braided rails. The ‘humble’ R3 has a fibreglass and plastic base with ‘Ki:um’ chro-moly rails. All the saddles feature Fizik’s patented ‘Wingflex’ design at the edges where your thigh is in contact with the saddle, allowing a degree of flex (and comfort). All Arione saddles are topped with a thermo-welded Microtex covering over PVA foam padding. The Polyurethane used in the padding varies in density depending on the saddle and has had a new package of additives to provide greater longevity and resistance to water deformation – a complaint that was sometimes aimed at older models. The top of the range Arione 00 is impressive in its minimalist lines and ultra light weight. The rails are Fizik’s ‘Mobius loop’ of braided carbon. Essentially a loop (rather than twin rails) of seven millimetre thick carbon cable with a nine millimetre oval section where the seat post connects, because a ‘perfectly’ round cross section of carbon is more susceptible to failure. The new pared-down design and profile makes the Arione 00 a sleek perch for dedicated racers and weight-loss fetishists alike. Fizik claims it will trip your digital scales at 135 grams and it is staggeringly light, though it is also for those with pro-spec backsides because it is certainly a stiffer, less flexible seat than the rest of the Arione range. If you need a rigid, stable and lightweight platform, this is it. If you don’t mind more weight in exchange for more comfort and a crucial extra few millimetres of padding, then you had best look elsewhere. At the launch, we rode the R3 and 00 saddles on successive days on the same bike and on the same roads and there’s no doubt that the Arione 00 is a less forgiving saddle than the R3. Although the base is a carbon and nylon shell, the Ki:um rail there are an extra few millimetres of foam on the R3 which, combined with the other elements (base, rails) makes a noticeable difference to the comfort. We went on a tour of the Fizik offices and production facility near Bassano del Grappa and we can attest to the fact that the Fizik saddles truly are made by hand in Italy. There are a minimum of 10 pairs of hands involved in the assembly of an Arione, from the injection of the Fizik developed and concocted foam through to the cutting, gluing, stretching, trimming, thermo-welding and finishing of every saddle. You know that small Ki:um sticker on the chrome-moly rails of the R3 model? You know how that gets there? Someone – a middle aged woman called Federica actually – applies each one by hand before the finished, checked saddle is popped in a bag and boxed. 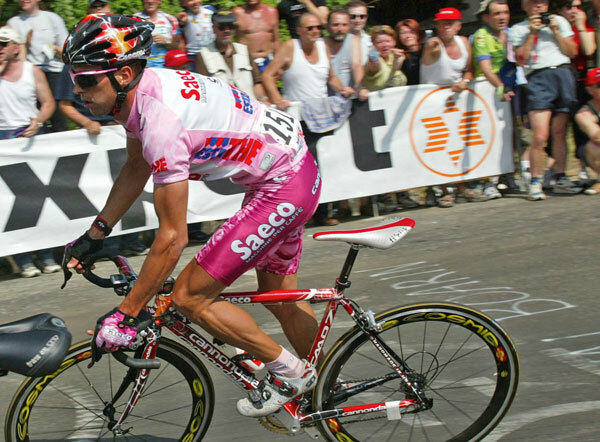 When the first Arione was introduced back in 2002, it was promptly banned by the UCI. Or rather, it fell foul of the UCI’s permitted saddle specifications. Basically, at 300mm long, the Arione was 30mm too long. Meetings were hastily arranged and discussions took place, the outcome of which was that the Arione, with its longer nose and length, was allowed and the rest, as they say, is history, as the shape captured significant chunk of the aftermarket saddle market. Alberto Fonte, marketing chief at Fizik, is proud of the fact that Fizik supplies no fewer than eight Pro Tour teams with saddles (as well as an increasing number with shoes), but he recalls the day he was contacted by Team Sky. “Obviously it was great to be contacted by a team like that, but we are really quite a small company (with a total turnover of 12 million Euros – Ed) but when we were talking I thought that we had no chance of coming to an agreement with Sky because we wouldn’t have the money to get the deal. But, in the end, Sky didn’t want a lot of money, they asked for a lot less than some other teams because what they wanted were the saddles more than the money.